"Some tourists think Amsterdam is a city of sin, but in truth it is a city of freedom. And in freedom, most people find sin"
The 12th century dam on Amstel river that gave rise to this teeming metropolis of modern world is a treat for tourists. It has evolved from a trading outpost to one of the most liberal cities in the world. Just like any other continental European city, the traumas of 19th century wars are evident and preserved. 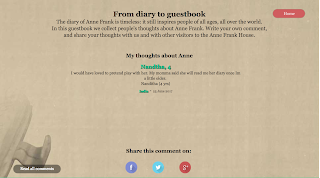 - remarked Anne Frank in her diaries during her hiding from Nazis. 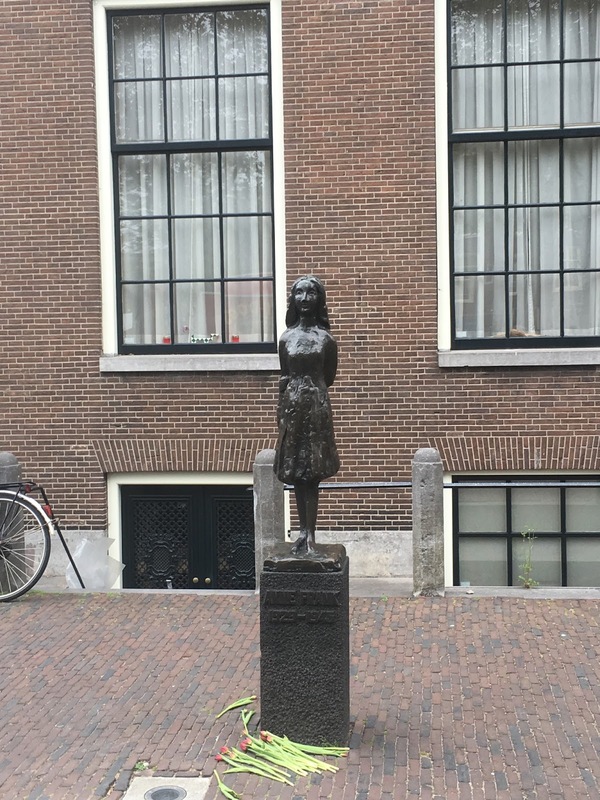 Anne Frank's house - perhaps the most visited landmark in this city - is a place that one should not miss. 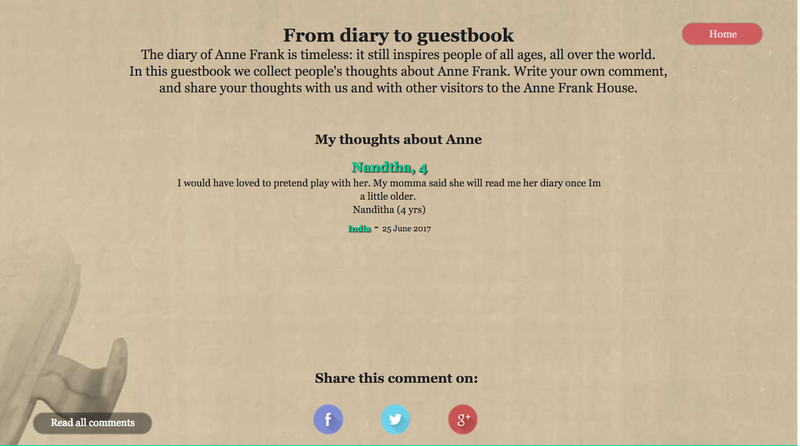 It tells us the story of a brave little girl who defied great odds to leave an everlasting message to the humanity. 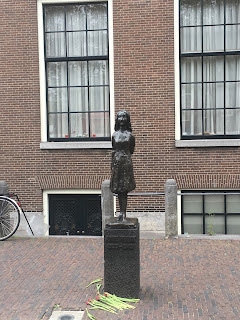 It is perhaps the best place in Europe that one should take their teenage son/daughter to instil in them good perspectives for the rest of their lives.. Just like Berlin, Hiroshima and Dachau has taught me, Anne Frank's house reemphasises the message that there there is no glory in war. There is just suffering for the humanity. When you walk around the Jewish quarters, you stumble upon these Brass bricks known as Stolperstein ( Stumbling Stones ) with names of holocaust victims and dates which serves as a grim reminder of the past. The liberalism which is the hallmark of Amsterdam finds its ethos in multiple places. The Heineken Experience which tells us the story of how a small company grew up to be conglomerate. A can of Heineken in Amsterdam is cheaper than a bottle of still water. The free spirited and hippie nature of Dutch is also evident in Amsterdam Arena - the home of Ajax - the cradle of total football. 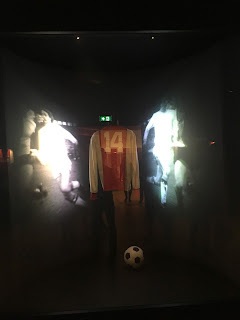 The no-14 jersey of Johan Cruyff who passed away last year is preserved in the stadium. Zaanse Schans with its windmills is a UNESCO heritage site. This is actually a reconstructed version of old Dutch wind mills which was done in 1960's and 70's . Being a windy plain, these type of windmills dotted the landscape of Netherlands hundreds of years earlier. 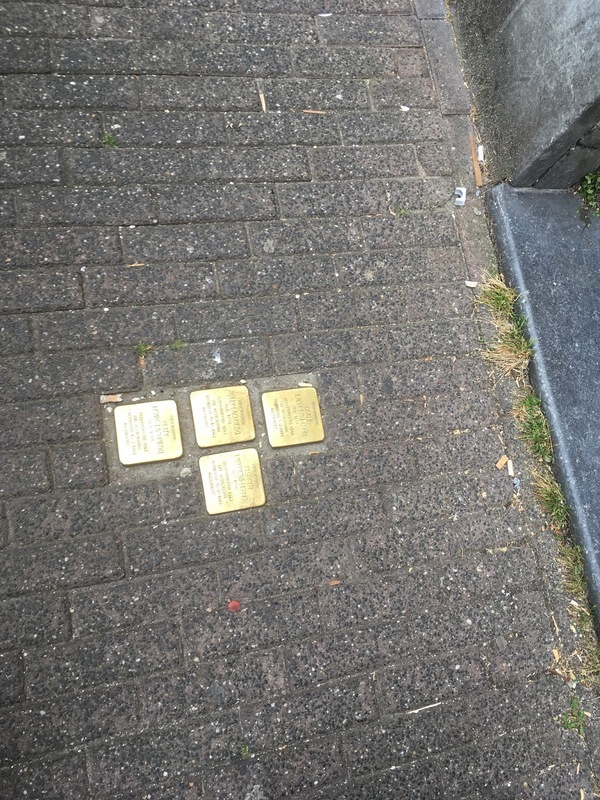 You can see one even in Amsterdam city. Many of these were moved to Zaanse Schans to reconstruct what was once a thriving commercial centre in 18th and 19th century.